Added Endurance texture patch that fixes black regions with white dots. Its a bit hard to notice unless you look for it, but Destructor1701 has provided texture fixes that correct the issue. 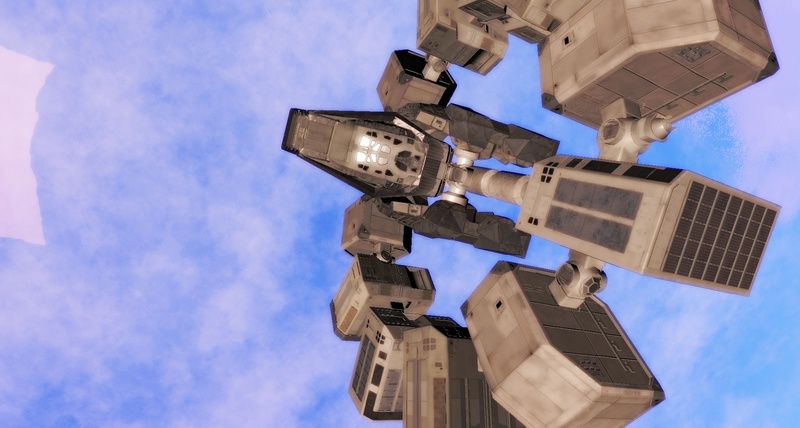 What do you want for obj or 3ds files of lander,ranger and endurance? I want to make addon for Orbiter 2010. I have actually been waiting for someone from the orbiter community to contact me about it. I figured its the best model available and we are currently the only ones with it. I will send you my skype information in a private message and we can discuss this there. I've uploaded a new set of specs for the Endurance in my Releases Thread. They fix the non-reflective windows issue, and one or two other tweaks. If you don't mind me asking, how did you guys manage to unpack those .bin files for the Endurance? I've been meaning to rip them myself, but I can't seem to open them in any program for the life of me. Edit: Nevermind, figured out the actual conversion process. Edited again: I stand corrected, I can't figure any of this webgl model ripping stuff. Is there any chance of you releasing the original .obj models? I can't seem to find any way of exporting the .sm files to another format. how did you guys manage to unpack those .bin files for the Endurance? We didn't unpack any bin files. It seems they recently changed their formats to .bin, possibly to prevent further ripping. Is there any chance of you releasing the original .obj models? Just releasing in the proprietary format of "sm" is skirting the lines of copyright infringement. Openly sharing the model files might not be a good idea. I would prefer to keep things as they are and if someone from within the modding community of SE, Orbiter, KSP, or any other game needs the files they can private message me about it. I have given single OBJs to a couple people to work with or use for scaling on their own projects. If you need specific OBJs for a project or just to learn from them send me a private message and I am sure we can figure something out.